Eva Chen just made her bevy of Instagram followers (1 million, to be exact) very happy. Chen has been traveling around the world promoting her book, Juno Valentine and the Magical Shoes, routinely documenting her looks along the way (and in her IG mirror selfies when she's not book-touring). 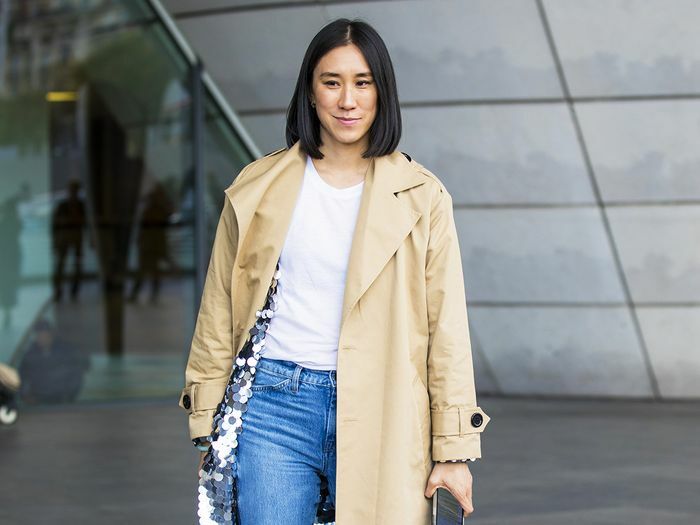 Many of Chen's looks include jeans, and her followers have noticed. This week, Chen candidly posted in her Instagram story that she'd been walking around with the tag still on her jeans all day, adding that they were the "holy" jeans that she'd been getting frequent DMs about. Those jeans are the Paige Noella Relaxed Straight Leg style. 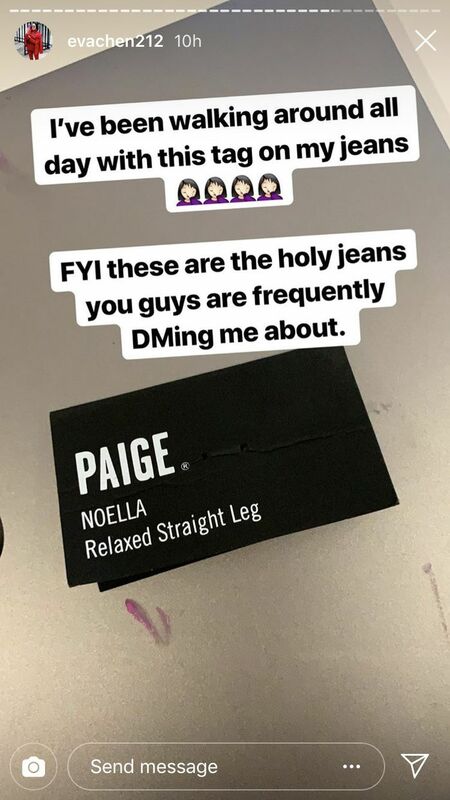 We took a look through Chen's Instagram posts, and she does, in fact, tag Paige quite a lot, so we can only assure that they're the Noella jeans. And given her aforementioned vast fan base, we predict sales for the jeans will quickly rise. The beauty of these particular jeans is that they appear to be as comfortable as they are cool. The relaxed leg is cropped, so they look anything but sloppy, and the mid-rise is perfect for when you need a break from high-rise styles. Chen seems to favor the cool distressed styles, but there are plenty of washes to chose from if that's not your speed. Keep scrolling to witness Chen's love for the "holy" Paige jeans and to shop them for yourself. The #igselfiemirror got a festive upgrade! Holiday season 2018: let’s do this! Always love a visit from @songofstyle!! I love her style, yes, but beyond that I love her emotional honesty and sense of humor. Thank you Aimee for always keeping it real! These mochi from San Jose were literally the freshest mochi I’ve ever had outside of Japan! Thank you to the kind follower who brought it to my book signing!! Next up: five new trends everyone will wear with jeans next year.